Happy Thursday everyone! American Idol was pretty crazy last night, huh? Someone was pretty surprised that he was in the bottom three, wasn't he? Tee hee hee! I was sad to see Matt go...I have a special spot for him, even though Danny is my favorite. And how about Danny and Allison garnering the most votes?! That is pretty sweet! I have a few cards to share with you today. First up is my card for CPS sketch 113. 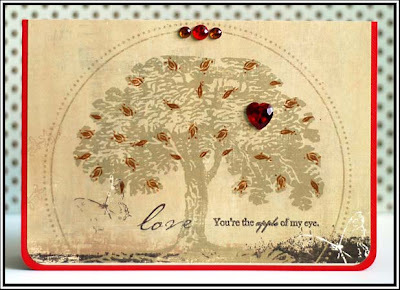 We were sponsored by Cornish Heritage Farms this week, using this beautiful stamp collection called "Ornamental Beauty". 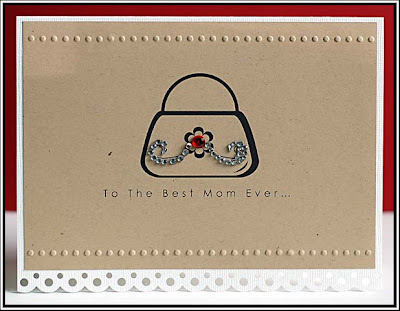 Up next are a couple of mother's day cards for Glitz Designs. 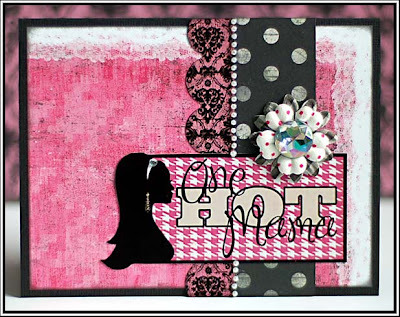 This first card features paper and cardstock stickers from the Hot Mama collection. And this card features paper from the Audrey collection. 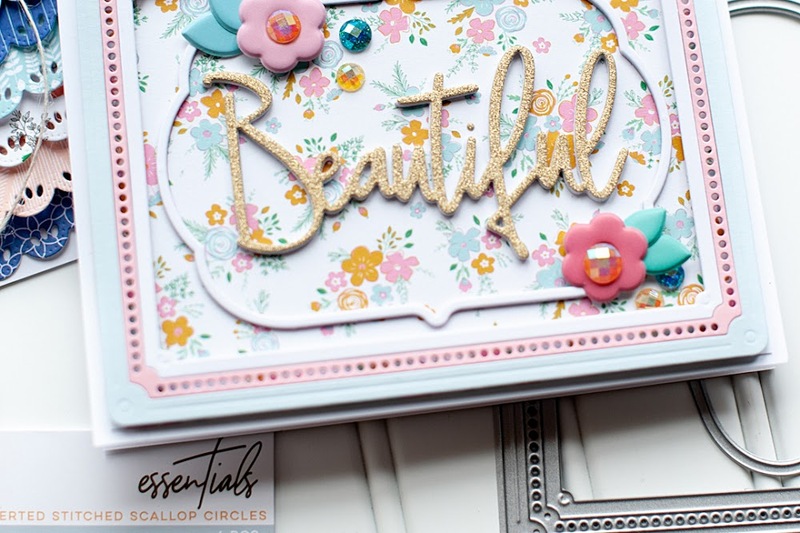 Both of these collections are two of my current Glitz faves! And just a couple more things. I have hesitantly put the "followers" gadget on my sidebar. I have had some readers comment and email me that it would be easier to become a follower of my blog if I put it on my sidebar. 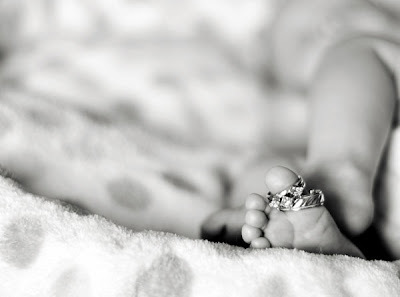 I didn't add it to seem precocious, or because I think that so many people want to follow my blog...but I did add it to make it easier for anyone that does want to follow the blog. So there you have it! 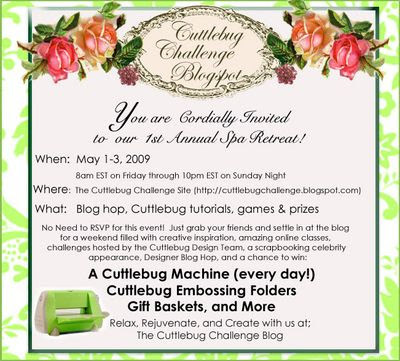 And don't forget to check back tomorrow for the start of the Cuttlebug Challenge Spa Weekend blog hop!! It is the kick-off to the fabulous Spa Weekend we have planned for everyone, full of projects, inspiration, and TONS of prizes. Check out the details here, and I hope that you join us!! Another Wednesday means it is time for Be Inspired 29! 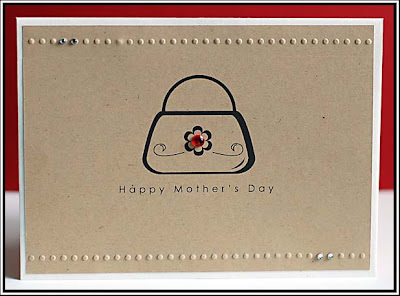 The Cuttlebug Challenge this week was to make a mother's day card and matching envelope. 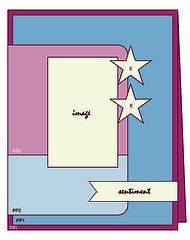 We were sponsored by My Grafico this week, and used the "Shopping Boutique" digi images for our projects. Because the images were simple and graphic in nature, I decided to follow that theme for the entire project. I am pretty happy with how it turned out! This first image is of the card. 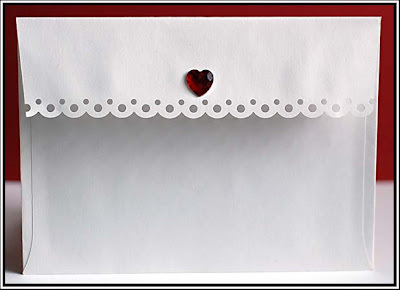 I used one of the "With Love" embossing borders for both the card and the envelope. This is the front of the envelope. And this is the back of the envelope, where I tied in the border punch to match the card. Congrats ladies! Please email me your addresses to jnllawson at bresnan.net. 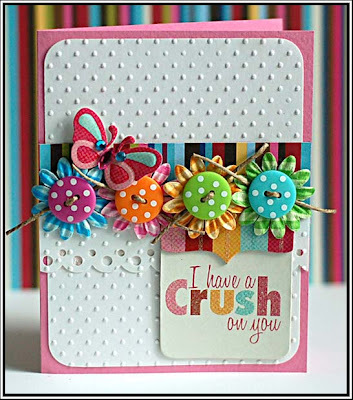 Be sure to check out all of the other creations this week at the Cuttlebug Challenge...they are fabulous! Wow- I am sure glad it is Friday. How about you? I am looking forward to a fairly quiet weekend of crafting, photo editing, some cleaning (not so fun), and attending a dinner for a friend that is coming into town. Well, this week I am a reader/participant at CPS, instead of a designer. :) I ran out of time before leaving for my cousin's wedding last week, and couldn't get my card done. So- I did one last night for sketch 112, because the sketch is awesome and I didn't want to skip it completely. Should I link up to Mr. Linky? Tee hee! 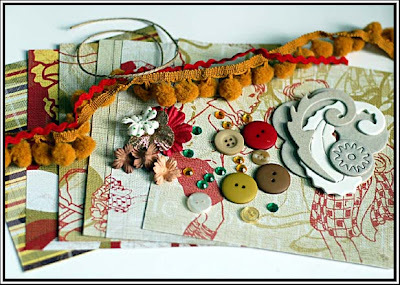 Do you want to craft "with me" next weekend? Well, I am cordially inviting you to participate in two events! First up is the Cuttlebug Spa Retreat that runs from May 1-3rd, 2009. There are a TON of prizes, inspiration, and projects all weekend long. Check out all the information on the event HERE...it is going to be fabulous! And I will also be part of an online crop at Vintage Plum as well. Please join us at Vintage Plum on May 2nd - 3rd from 12pm cst for our VP Online Crop. We will have layout challenges, card challenges, altered projects and games. Prizes will be awarded for every challenge and game. All challenges will be due by Monday 8pm (CST) to be eligible for a prize. The overall winner of the crop will be spotlighted on Vintage Plum's blog. They will be interviewed and have all of their projects made during the crop posted on the blog. 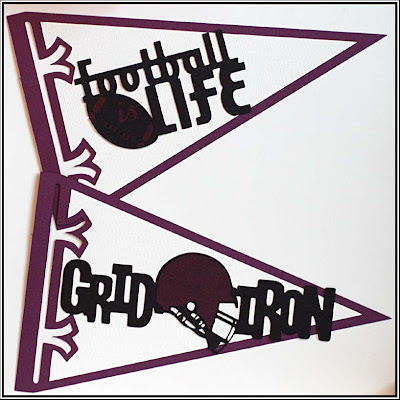 They will also win a $20.00 gift certificate good toward a kit purchase in Vintage Plum's store. We hope to see you there! Well, that is all I have for now! I hope you have a great start to your weekend! ETA: A photo of the giveaway is now posted below! I will pick two winners next Tuesday night, and will be posted in my Wednesday Cuttlebug post! Happy middle of the week to you! Since it is Wednesday, that means it is time for another Cuttlebug Challenge. 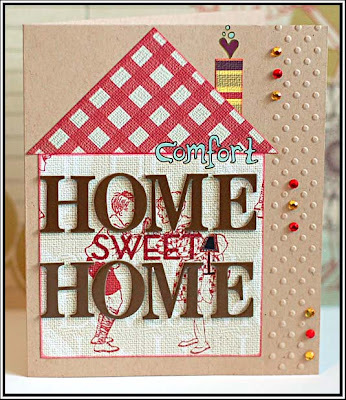 Be Inspired 28 is all about Home Sweet Home, and we were sponsored by Marks Paper Company this week. We got these fabulous papers....such great colors and a vintage feel! 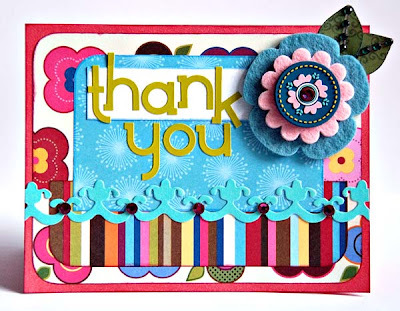 Thanks much....they were fun to work with! I have a little giveaway on this post this week. I don't have a photo of it right now...but I will get one taken and uploaded when I have enough light. 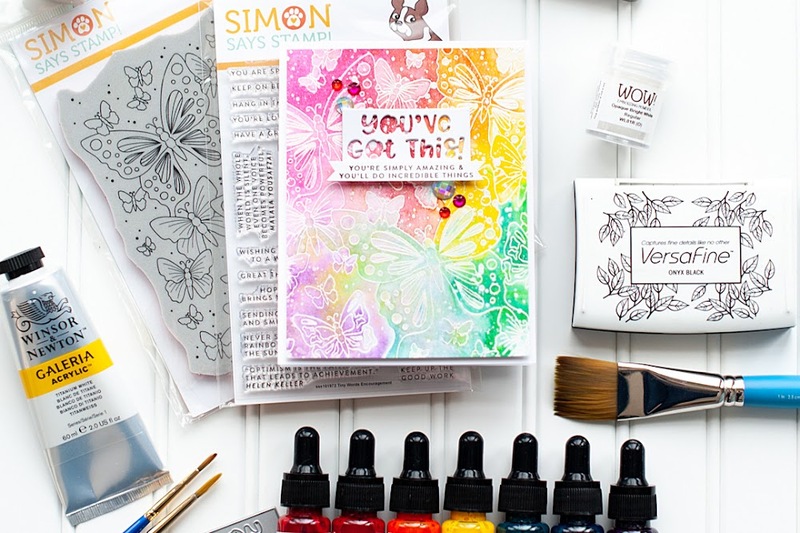 But, there will be two kits to giveaway, each kit featuring some 6x6 sheets of Marks Paper Company, trim, buttons, flowers, and some chipboard. All you have to do is leave me a comment on THIS post, telling me what your favorite home sentiment is. Can't wait to hear from you! Well, I better get going for now! Have a great rest of your day! My crazy weekend of photographing my cousin's wedding is over, and I am back into the swing of normal again. (Well, kind-of. I have hundreds of photos to edit, so life isn't THAT normal yet. Weird to think that this will be my normal day sometime soon...I am SO ready for that day!) Photographing the wedding went really well, and I am now even more exciting to take my professional course in weddings. While I don't have any wedding photos to share with you, I did want to share some other photos with you. 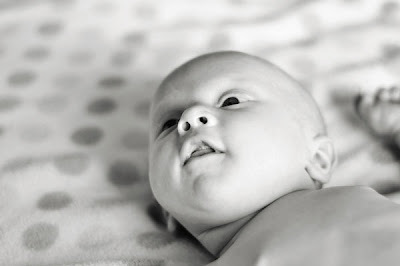 A couple of weeks ago I took my very first photos ever of a baby. Good photos...well, I think they are good photos anyways. 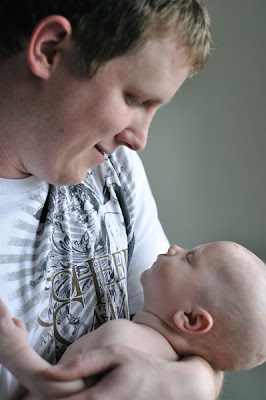 ;) Braylon's dad works with my husband Josh, and they gave me the chance to photograph him! I was very excited for the opportunity. I took tons of photos, and these ones happen to be my favorites. 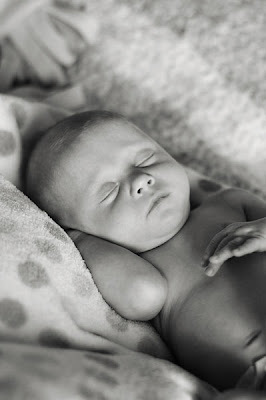 How cute is it when he holds his fists under his chin like he is in deep thought...so darling! Loved capturing that in photographs! I took a ton more, but those ones are my very favorites. Feel free to let me know what you think of the shots! I will have some crafty stuff to share later in the week! Hope you enjoyed my photography post tonight! Happy Thursday everyone! (I almost typed happy Friday...because today was my Friday at work! Tomorrow we head over to Helena for my cousin's wedding, which I am photographing!! Eeek- very excited, and a tad nervous.) But before I leave for the weekend, I wanted to share a few things with you! First up is my card for sketch 111 at CPS this week. We were sponsored by My Cat's Pajamas this week...and we got some of the most DARLING stamp sets. 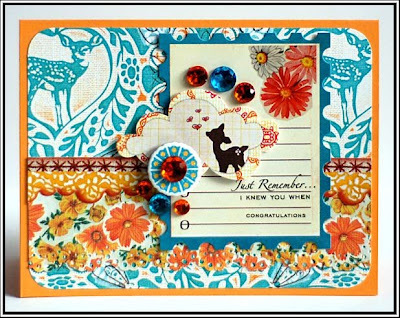 For this CPS card I used the stamp set called "Puppy Love". 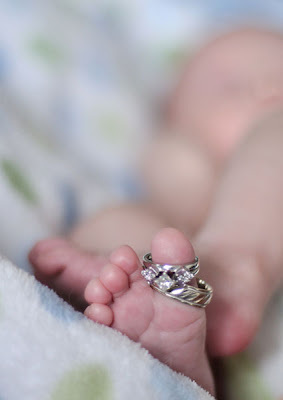 So freaking cute...love them! Be sure to check out all the fabulous cards at CPS if you haven't yet this week...the girls all did a great job! I also got a second set of stamps from My Cat's Pajamas that I didn't use for my CPS card...but I did make a mini card set with them. 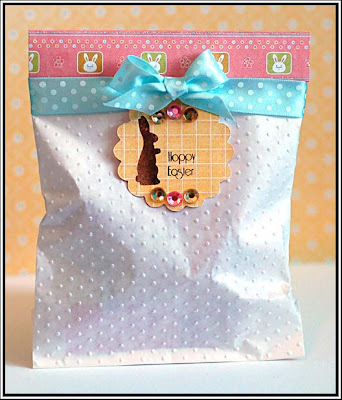 The set I used for these cards is called "Beans & Bunnies & Peeps, oh my!". I really don't think the set could BE any cuter. Love all the fun sentiments in this set. I think the first two are my favorite in the set of 4...but I do like all of them! What about you? And I finally had some time to head over to the 2 Sketches 4 U blog this week...it has been forever it seems. Life has just been a bit busy. 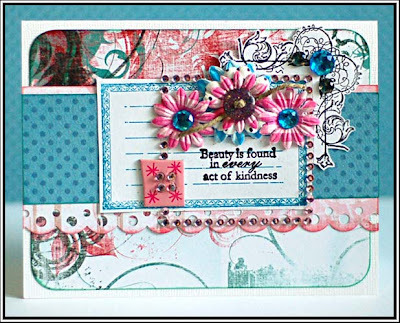 This is my card for Kazan's sketch 24 this week...using some of the MME Bella, Bella papers that I recently received. They are SO pretty...love them! 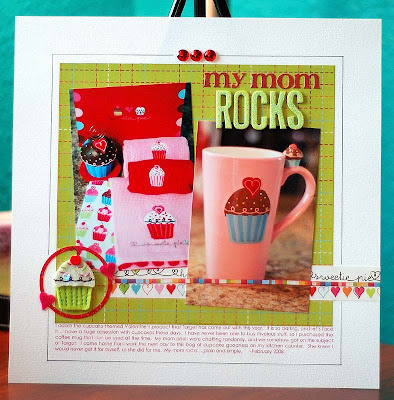 This card also features the "Roots and Wings" and "Roots and Wings add-on" stamp sets by Renaissance by Design. I adore these stamps...they are so wonderful. Be sure to check out the link....they are fabulous! Well ya'll...wish me luck for the weekend! The weather is supposed to be just perfect...which I am very excited about! I hope that your weekend is perfectly wonderful! This week's Cuttlebug Challenge was inspired by the ever wonderful "tax day" in the USA. Be Inspired #27 challenges you to use numbers on your project. So, how about American Idol last night? Regardless of Simon saying it was too traditional, Danny Gokey was by far my favorite last night. He sang the song in a key lower than the original, and I think he added his own soul and so much emotion to it. Honestly...if he had changed it too much, Simon would have gotten on him for that. You can never seem to win with these judges, unless your name happens to be Adam Lambert (whose performance I didn't care for, BTW. Too much for me...the shreiking drives me crazy). Allison was my next favorite performance, followed by Kris. And I think they were REALLY hard on Matt. He did get a bit pitchy in the middle of the song, but I think the rest of it was beautiful. Anoop did a good job, and Lil was just "meh". She does nothing for me, and I would never buy an album. But, I would never buy an album of Adam's either....so there you have it. Any thoughts? Happy Monday everyone!! Did you have a great Easter weekend? Ours was fabulous! We left Missoula around 10am on Saturday morning and made our way to Sheridan. We got there just in time for the Easter Egg Scramble at my parent's church. After that my dad, Josh and our cocker spaniel Sadie when fishing, and I went to lunch with my mom. Sadie came home a happy dog...but also a FILTHY one. The bathtub was black once we had bathed her...but she had so much fun and that is what counts! I have a couple things to share with you today. 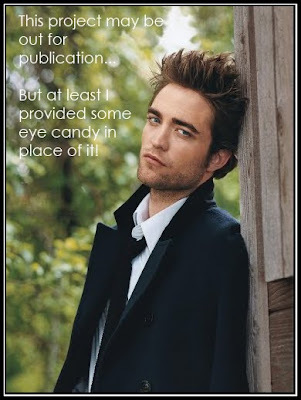 Someone emailed me and wanted to see the cover option that I did for the April issue of CK. Apparently the page can't be found on the CK website...so here it is. It wasn't picked, obviously...but I think it is pretty cute! Up next I have some February publications to share with you. 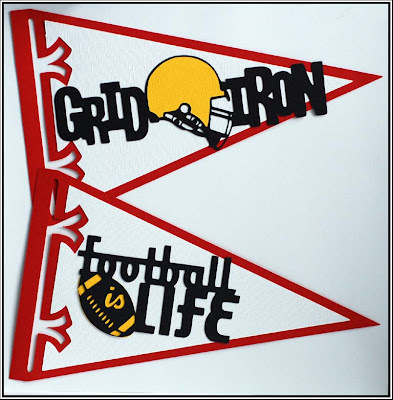 I am pretty lucky if anything gets picked up for Feb and March publications, because those calls are going on at the same time football season is going on. I don't have much extra time for creating during those couple of months....so I don't end up getting to submit much. So- I feel pretty blessed when I do actually get something picked up! 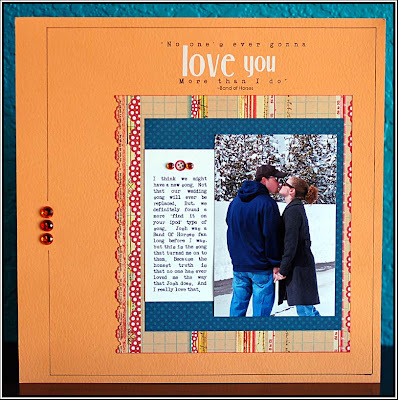 :) This layout was in the Valentine's section of the February issue of Scrapbook Trends Magazine. And these cards were in the February issue of Cards Magazine. Well, I need to go finish dinner and then I have some creating to do! Vintage Plum April Kit "Hopscotch"
As I alluded yesterday, I am part of the design team for a new monthly kit called Vintage Plum. 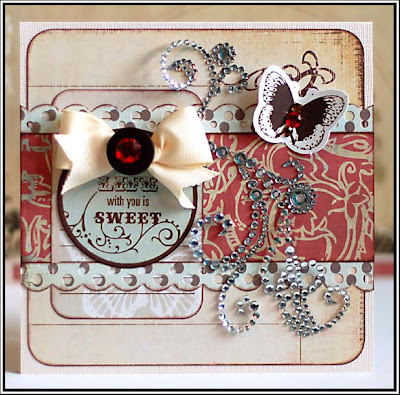 Vintage Plum debuted their first kit in February of this year, and are quickly gaining popularity! Vintage Plum has a unique characteristic, and that is they only feature scrapbooking products that are made in the USA in the kit each month. I think this is such an awesome feature considering the state of our economy these days. 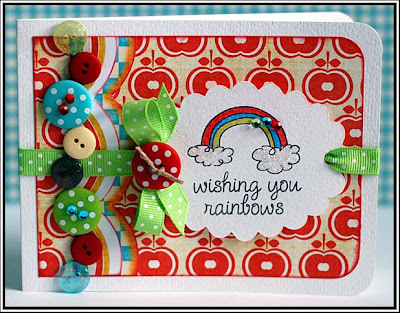 HERE is a link to everything that is included in this month's kit, and here is the Hopscotch Gallery....be sure to check it out as there are some fabulous projects this month by the new design team! Without further ado, here are my projects for my first kit with Vintage Plum. Be sure to click on the layouts to see them larger....you will be able to read the journaling, and they just look better larger! 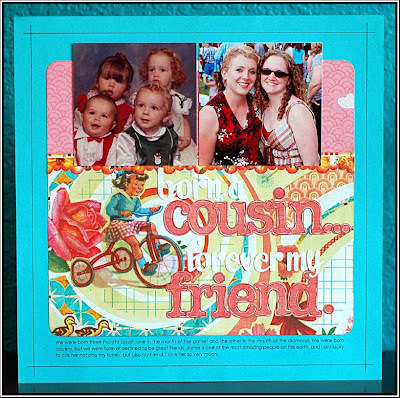 :) This layout is about my cousin Jamie, who I adore. We are 4 months apart in age, and she has been one of my greatest friends my entire life. I am so lucky to have her! The other two babies in the first photo are our cousins as well. The four of us were born fairly close together. 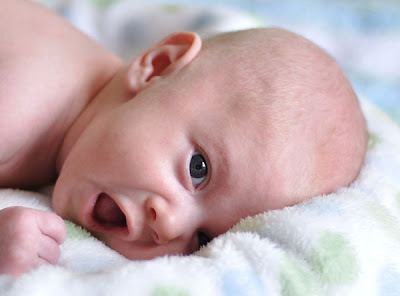 I didn't have a baby photo of just Jamie and me together, so I used this one. I think it is pretty cute! This layout is just about the little things that I take comfort in. I adore fuzzy socks, and my coffee with creamer in a super adorable mug. This is a transparent layout about playing Farkle with the family. This was on our vacation to Big Sky last year with Josh's parents. I am awful at remembering how to score Farkle...but they do it for me! We have a lot of fun playing games with Josh's parents! 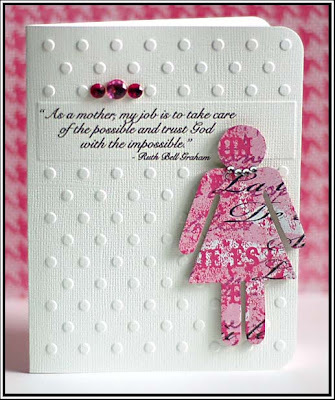 And I LOVE this card...isn't it just precious?! 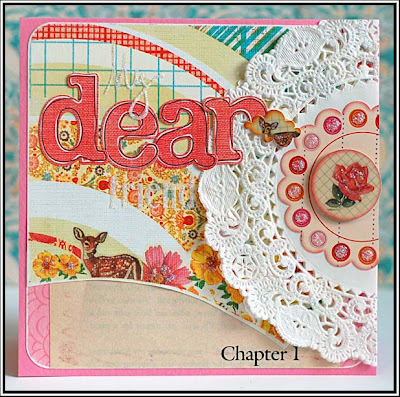 Because I am such a clean and graphic scrapbooker, I really wanted to find a way to use some of the cute extras that were included in the kit, like the doily and the old book papers. So, I used them on this card and I love how it turned out. And last but not least, a card featuring the Pink Paislee product that is in the kit. 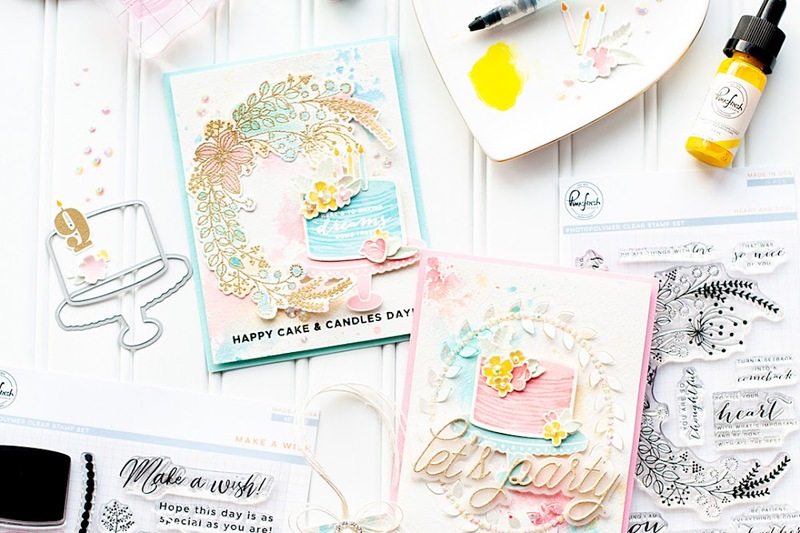 We are going to be featured on the Pink Paislee blog at some point this month, and they wanted to see some creations using up their product that is in the kit. I, of course, took on a card for this one! 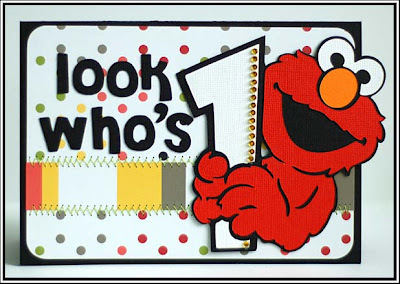 And last, but not least....I provided the challenge this month for our May guest designer search. The challenge is called "Feel The Music", and you can find all the details HERE. We would love for you to take part in the challenge to become our next guest designer! If you have any questions regarding it, feel free to ask! This is the layout example that I did for the challenge....featuring some product from the kit, and a little from my stash. :) I just love this song. Well, I hope you like my very first reveal as a kit club design team member! I really enjoyed working with the kit this month! If you are looking for a fun and laidback place to talk about scrapbooking and life...come join us. 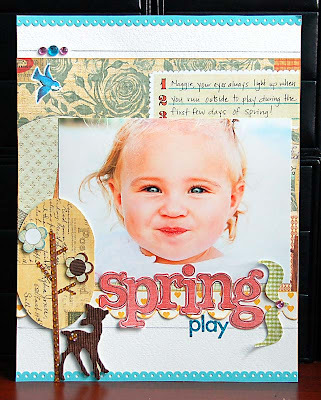 We are drama-free and love talking about scrapbooking and crafting! Once again, we have been experiencing some internet problems, so I apologize for the lack of posts. I do have some cute stuff to share with you now that we are back up and running again! 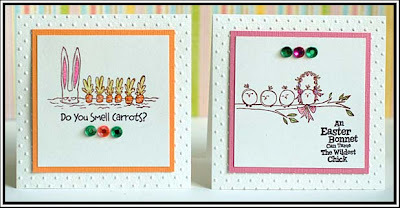 First up is my card for sketch 110 at the CPS Blog this week! We were sponsored by Hero Arts this week...and the stamps are just fabulous!! I had lots of fun working with them, and I can't wait to break them out again! Hopefully I will get that chance in the next couple of days so I can share some more projects with you! 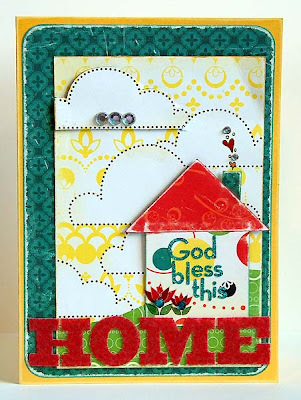 Next up is my project for Be Inspired #26 at the Cuttlebug Challenge blog. 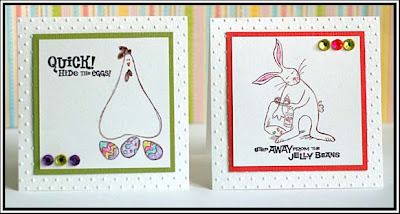 The challenge this week was to do an Easter themed project with embossed vellum. Well, the only vellum-y thing I had was the treat bag...so I went with it! I used a lot of Renaissance By Design product here. Check them out!! The stamp set is SO darling!! So....any thoughts on American Idol this week? Danny, Matt, Alison and Adam rocked it. That is for sure. And the bottom three were definitely who I figured. I think I am a little sad about Scott leaving though. Vocally he wasn't as talented as the others. But, there is just something so endearing about him. I would have loved to have him around for at least another week, and would have been okay with Lil going home. She just isn't doing anything for me in this competition. Well, check back tomorrow for another post! It is reveal day at a new kit club that I am designing for now. I would love to hear what you think about it! We took the pups on a 2-mile walk yesterday. THAT was definitely interesting. Let's just say that Josh and I haven't been real great about training them on leashes because we normally romp around the backyard with them, or take them to the cabin where they don't have to be on leashes. Bailey likes to try and pee on everything even though he is fixed, and Sadie is scared of her own shadow....and other dogs, bikes, car sounds....pretty much everything! Bailey also thought barking and growling at every dog he noticed for the first half of the walk was a good idea as well. Come to find out, all he wanted was to sniff the face of one of them, before he became indifferent to the fact that there were other dogs around. Who knew? But, we still had a good time- and they started to adapt after awhile. We just need to do this more often with them...that is a goal we have made! Well, I have a few things to share with you today. This is my card for sketch 109 at CPS last week. 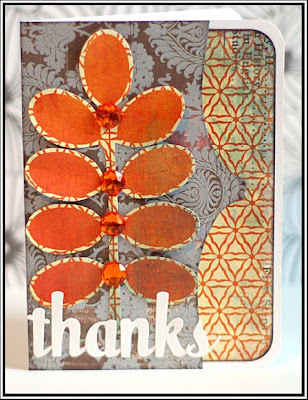 No sponsor that week, so I decided to play with some new Sassafras papers! Love them! Now on to my Provo Craft projects for the month of march. My first assignment was to make a Mother's Day gift. 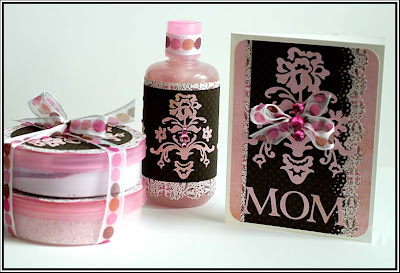 I made a card, and covered this bath and body product using patterned papers and cuts from the Home Accents Solutions cartridge. I just love that damask cut on this cartridge...it is fabulous!! My next project was to use a Sesame Street cartridge. 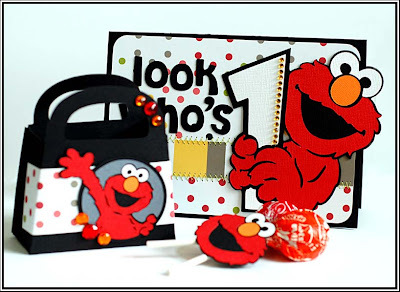 I used the Sesame Street Font cartridge for every letter and elmo image on these projects! 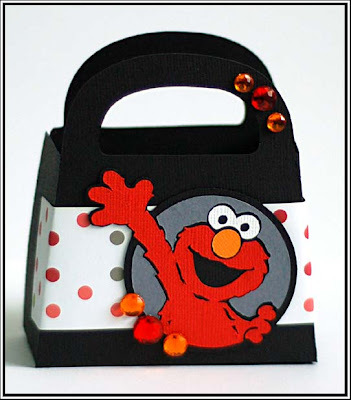 If you have a little one that loves Sesame Street...these cartridges are perfect for scrapbooking, party invitations/decor/goodie bags, room decorations...they sky is really the limit! 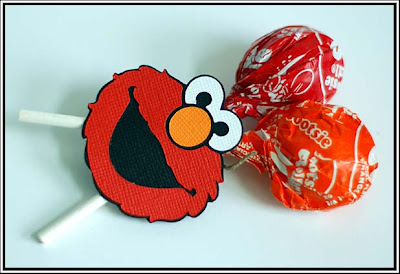 I chose Elmo because I think he is adorable...but I would bet your child's favorite character is represented on these cartridges! Happy Wednesday everyone! First off- thank you so much for the sweet and encouraging comments on my last post. It really means a lot to me...more than you even know. Wednesday (without internet problems...finally) means a new challenge is posted at the Cuttlebug blog. But first, if you haven't taken the Provo Craft Survey regarding the Cuttlebug...please go to THIS post, and click on the survey link. It is really important to the company to find out where you want them to take the Cuttlebug machine! Be Inspired 25 is all about Sheetload Shortcuts this week! They sent us some clear and frosted cardbases to work with, and this lovely sketch! Very fun to work with!! 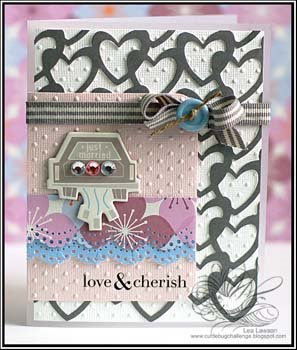 My card is directly below the sketch- I did lots of Swiss Dots embossing on this one. Do you want to know my trick to adhering lace paper to anything? Spray adhesive. I promise...it works perfectly. So- your thoughts on American Idol last night? Danny and Kris stole the show last night- they were amazing! Danny has pretty much been a front runner since auditions, but Kris just keeps gaining ground every single week. My favorite performance of the night was Danny, hands down. I told my husband last night that I feel like I connect with Danny when I watch him sing, and he said he feels the same way. I don't think they needed to be so hard on Matt- his performance wasn't bad. Not the right song choice...I absolutely agree with that. But, he still sounded great. I do agree 100% with Simon...."Apologize" by One Republic would have been an excellent choice for his soulful voice. Even my husband, who HATES that song, agreed. And I totally didn't get the judges falling all over themselves about Adam's performance last night- I didn't think it was that great. Especially when you compare it to last week. And what is up with the constant change to his look? It makes me think he is a total poser, and that he really doesn't have a true identity- it is all about gaining popularity. Alison and Scott did a good job, just not my favorites. And Anoop and Megan were both bad. Not good at all. I wonder if Usher saw that performance of his song by Anoop...yikes. Just bad. My prediction (& hope) is that Anoop and Megan will be in the bottom two...and Megan will go home. Well, better get going for now! Have a great day!